Before Guru HarKrishan became the 8th Guru, many people wanted to know who the next Guru was to be. 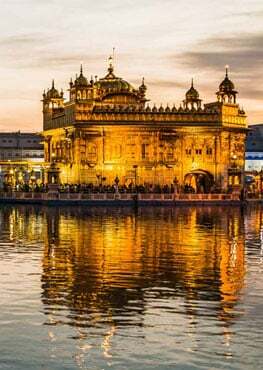 Once a man went to Guru Har Rai and asked him which of his sons was to be the next Guru & Guru Har Rai instructed the man to perform a special test that could show the sign of the greatest superpower and likewise the next guru. Listen to hear what happens next. 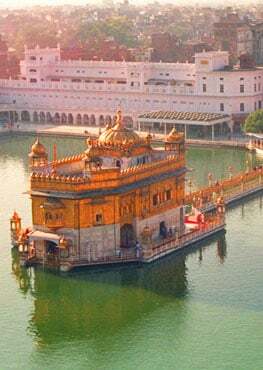 Guru Har Rai Sahib court was a most beautiful paradise. There were many kinds of animals, fruit trees, plants and flowers. There was also a hospital to treat people even if they couldn't afford it. The Guru had a large collection of medicines and rare herbs. The court of Guru Har Rai ji was a healing center of teachings, light and love. Narayan Gupta discovers her friends secret. He explains to her how writing two simple things have given him everything in life. They have filled him up and made him feel like he wants to share. They have have made him a trust-worthy and wealthy person. They have made him popular and well liked. They have made him remember who he really is and how he wants to live life. What are the two things he wrote down? What is the secret to all happiness and success? Once a woman visited her best friend Jagjit. Jagjit went to buy some food so they could eat together and she found herself in Jagjit's room. She saw an altar that had inspiring pictures on it. It also had dazzling and expensive jewels on it, "Wow!" She thought. In the center of the altar was a book that had the most exquisite and intricate art work. The title was written on gold and studded with diamonds. It said, "The Secret To All Happiness And Success". It was the most beautiful and expensive book she ever saw. She thought, "What could possibly be written in this book??!"